Product Description: book for engineering dynamics. Book is fully functional. Edges are a bit bent and some binder holes are torn but everything is there. 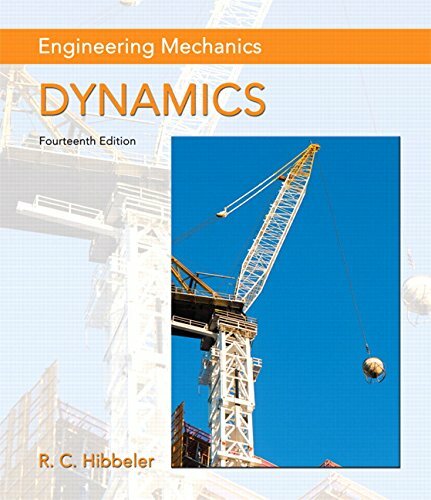 9780134082424, titled "Dynamics: Dynamics, Student Value Edition" | 14 unbnd s edition (Prentice Hall, April 13, 2015), cover price $157.93 | About this edition: book for engineering dynamics. Fluid Mechanics is intended for use in Fluid Mechanics courses found in Civil and Environmental, General Engineering, and Engineering Technology and Industrial Management departments. It is also serves as a suitable reference and introduction to Fluid Mechanics principles. Fluid Mechanics provides a comprehensive and well-illustrated introduction to the theory and application of Fluid Mechanics. The text presents a commitment to the development of student problem-solving skills and features many of the same pedagogical aids unique to Hibbeler texts. MasteringEngineering for Fluid Mechanics is a total learning package that is designed to improve results through personalized learning. This innovative online program emulates the instructor’s office–hour environment, guiding students through engineering concepts from Fluid Mechanics with self-paced individualized coaching. Teaching and Learning Experience This program will provide a better teaching and learning experience—for you and your students. It provides: Individualized Coaching: MasteringEngineering provides students with wrong-answer specific feedback and hints as they work through tutorial homework problems. Problem Solving: A large variety of problem types stress practical, realistic situations encountered in professional practice, with varying levels of difficulty. Visualization: The photos are designed to help students visualize difficult concepts. Review and Student Support:A thorough end-of-chapter review provides students with a concise reviewing tool. Accuracy Checking:The accuracy of the text and problem solutions has been thoroughly checked by other parties. Alternative Coverage: After covering the basic principles in Chapters 1-6, the remaining chapters may be presented in any sequence, without the loss of continuity. Note: You are purchasing a standalone product; MasteringEngineering does not come automatically packaged with this content. If you would like to purchase both the physical text and MasteringEngineering search for ISBN-10: 0133770001 /ISBN-13: 9780133770001. That package includes ISBN-10: 0132777622 /ISBN-13: 9780132777629 and ISBN-10: 0133820807 /ISBN-13: 9780133820805. MasteringEngineering is not a self-paced technology and should only be purchased when required by an instructor. 9780132777629 | Har/psc edition (Prentice Hall, March 3, 2014), cover price $258.60 | About this edition: Fluid Mechanics is intended for use in Fluid Mechanics courses found in Civil and Environmental, General Engineering, and Engineering Technology and Industrial Management departments. 9780133009569, titled "Engineering Mechanics Dynamics + MasteringEngineering With Pearson Etext Access Code: Dynamics Plus Masteringengineering With Pearson Etext -- Access Card Package" | 13 pck har edition (Prentice Hall, July 3, 2012), cover price $243.80 | About this edition: ALERT:Â Before you purchase, check with your instructor or review your course syllabus to ensure that youÂ select the correct ISBN. NOTE: You are purchasing a standalone product; MasteringEngineering does not come packaged with this content. If you would like to purchase both the physical text and MasteringEngineering search for 013411700X / 9780134117003 Engineering Mechanics: Statics & Dynamics plus MasteringEngineering with Pearson eText -- Access Card Package, 14/e Package consists of: • 0133915425 / 9780133915426 Engineering Mechanics: Statics & Dynamics • 0133941299 / 9780133941296 MasteringEngineering with Pearson eText -- Standalone Access Card -- for Engineering Mechanics: Statics & Dynamics MasteringEngineering should only be purchased when required by an instructor. A Proven Approach to Conceptual Understanding and Problem-solving Skills Engineering Mechanics: Statics & Dynamics excels in providing a clear and thorough presentation of the theory and application of engineering mechanics. Engineering Mechanics empowers students to succeed by drawing upon Professor Hibbeler’s everyday classroom experience and his knowledge of how students learn. This text is shaped by the comments and suggestions of hundreds of reviewers in the teaching profession, as well as many of the author’s students. The Fourteenth Edition includes new Preliminary Problems, which are intended to help students develop conceptual understanding and build problem-solving skills. The text features a large variety of problems from a broad range of engineering disciplines, stressing practical, realistic situations encountered in professional practice, and having varying levels of difficulty. Also Available with MasteringEngineering -- an online homework, tutorial, and assessment program designed to work with this text to engage students and improve results. Interactive, self-paced tutorials provide individualized coaching to help students stay on track. With a wide range of activities available, students can actively learn, understand, and retain even the most difficult concepts. The text and MasteringEngineering work together to guide students through engineering concepts with a multi-step approach to problems. 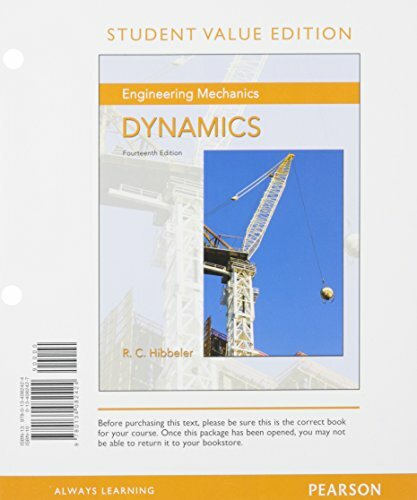 9780133915426, titled "Engineering Mechanics: Statics & Dynamics" | 14 edition (Prentice Hall, April 10, 2015), cover price $297.40 | About this edition: NOTE: You are purchasing a standalone product; MasteringEngineering does not come packaged with this content. 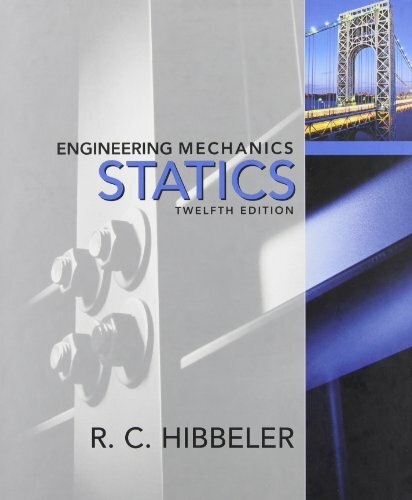 9780132915489, titled "Engineering Mechanics: Statics and Dynamics: Statics Dynamics" | 13 edition (Prentice Hall, April 26, 2012), cover price $294.40 | About this edition: In his revision of Engineering Mechanics, R.
9780133451603 | 4th edition (Prentice Hall, July 23, 2013), cover price $254.60 | About this edition: For introductory combined Statics and Mechanics of Materials courses found in ME, CE, AE, and Engineering Mechanics departments. 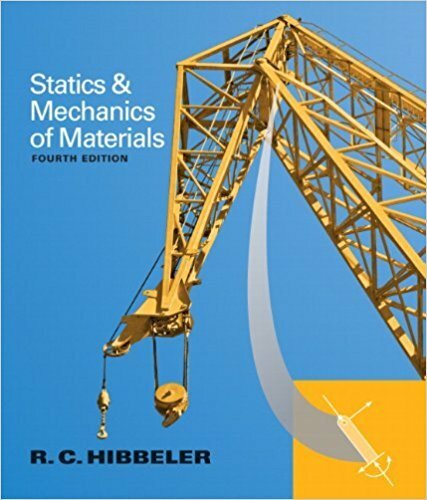 9780132166744 | 3 har/psc edition (Prentice Hall, July 23, 2010), cover price $215.00 | About this edition: Statics and Mechanics of Materials, 3/e is ideal for introductory combined Statics and Mechanics of Materials courses found in ME, CE, AE, and Engineering Mechanics departments. 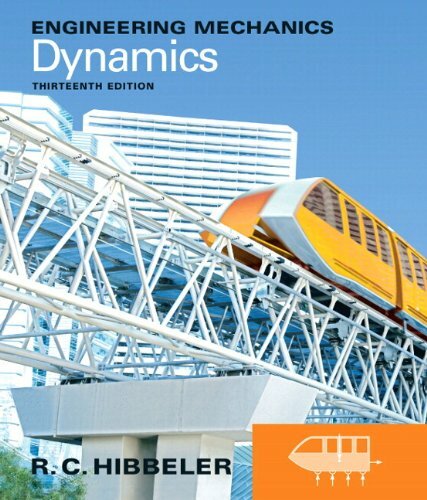 9780133915389 | 14 edition (Prentice Hall, April 10, 2015), cover price $232.20 | About this edition: For Dynamics Courses. 9780132911276 | 13 edition (Prentice Hall, April 21, 2012), cover price $229.80 | About this edition: In his revision of Engineering Mechanics, R.
9780137016297 | 12 pck har edition (Prentice Hall, July 23, 2009), cover price $200.93 | About this edition: KEY BENEFIT: R.
9780135104804 | 12 pck har edition (Prentice Hall, April 24, 2009), cover price $238.00 | About this edition: This package contains Engineering Mechanics: Combined Statics & Dynamics, 12/e and a Statics Study pack and Dynamics Study Pack. The Statics Study Pack was designed to help students improve their study skills. It consists of three study components—a chapter-by-chapter review, a free-body diagram workbook, and an access code for the Companion Website. 9780136091837, titled "Engineering Mechanics Statics Study Pack: Statics" | 12 pap/psc edition (Prentice Hall, January 13, 2009), cover price $44.40 | About this edition: The Statics Study Pack was designed to help students improve their study skills. 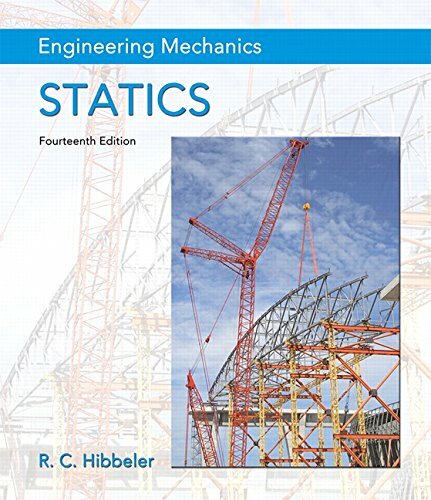 9780134160689, titled "Engineering Mechanics: Statics" | 14 har/psc edition (Prentice Hall, May 11, 2015), cover price $246.20 | About this edition: NOTE: Before purchasing, check with your instructor to ensure you select the correct ISBN. 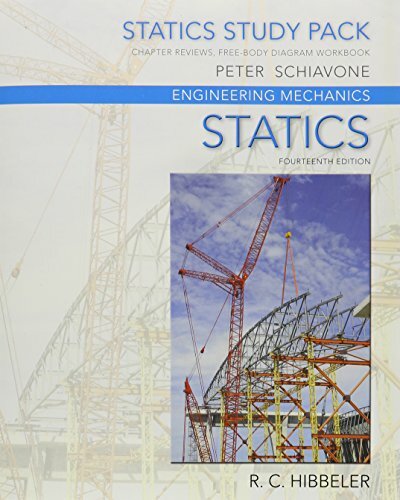 9780133009545, titled "Engineering Mechanics: Statics" | 13 pck har edition (Prentice Hall, February 19, 2012), cover price $243.80 | About this edition: ALERT: Before you purchase, check with your instructor or review your course syllabus to ensure that you select the correct ISBN. 9780132915540, titled "Engineering Mechanics: Statics" | 13 edition (Prentice Hall, January 22, 2012), cover price $229.80 | About this edition: In his revision of Engineering Mechanics, R.
9780136077909, titled "Engineering Mechanics, Statics: Statics" | 12 edition (Prentice Hall, January 2, 2009), cover price $191.60 | About this edition: In his substantial revision of Engineering Mechanics, R.
9780132915564, titled "Engineering Mechanics: Statics" | 13 stg edition (Prentice Hall, April 21, 2012), cover price $49.80 | About this edition: The Statics Study Pack was designed to help students improve their study skills. 9780133942842 | 9 har/psc edition (Prentice Hall, July 27, 2014), cover price $240.40 | About this edition: Structural Analysis is intended for use in Structural Analysis courses. 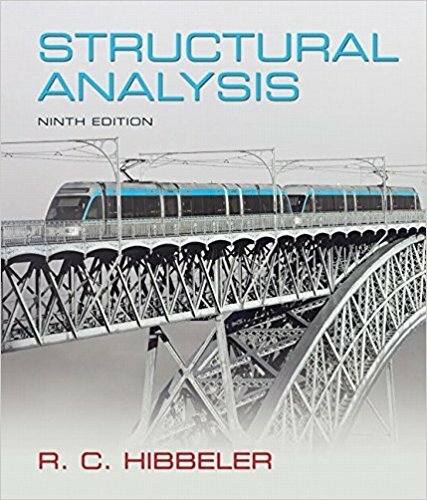 9780132570534 | 8 har/psc edition (Prentice Hall, February 25, 2011), cover price $238.00 | About this edition: Structural Analysis, 8e, provides readers with a clear and thorough presentation of the theory and application of structural analysis as it applies to trusses, beams, and frames. 9780136020608 | 7 edition (Prentice Hall, May 5, 2008), cover price $185.00 | About this edition: This book provides students with a clear and thorough presentation of the theory and application of structural analysis as it applies to trusses, beams, and frames. 9780137140732 | 7 har/psc edition (Prentice Hall, May 5, 2008), cover price $185.00 | also contains Structural Analysis | About this edition: Very good condition, corners bent from normal wear and tear. 9780133409321 | 9 pck har/ edition (Prentice Hall, May 9, 2013), cover price $268.60 | About this edition: ALERT:Â Before you purchase, check with your instructor or review your course syllabus to ensure that youÂ select the correct ISBN. 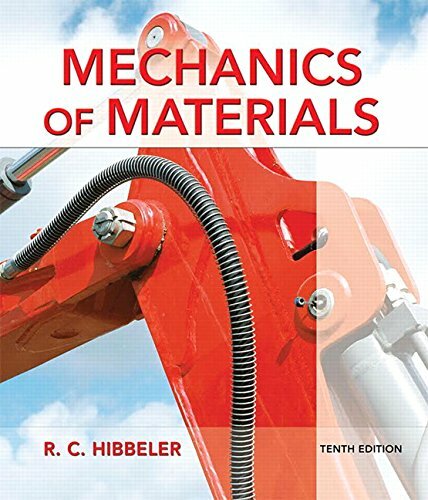 9780132209915 | 7 edition (Prentice Hall, July 31, 2007), cover price $183.00 | About this edition: This clear, comprehensive presentation discusses both the theory and applications of mechanics of materials.